10.1.1 Some major routes proposed for improving road structure are as follows. Prince Edward Island is a province located in Eastern part of Canada. It is the smallest among the three Maritime Provinces. The 2011 census estimated the population of PEI at 140,204 which is very less when compared to other provinces in Canada. The capital of PEI is Charlottetown and is the hub of many government institutions. In PEI it is mandatory to have car insurance to drive or operate a vehicle on the public roads. Earlier, the number of claims for minor injuries in the province were rising and the awarded sums were huge. So, this led to the increase in the cost of auto insurance in the province. But then there were some important auto reforms introduced in 2004. As a result, these reforms helped to cut down the auto insurance rates to a great extent. The auto reforms changed the manner of handling minor injury cases and placed a cap on awards. So now, the car insurance rate in this province is the second lowest next to Quebec. 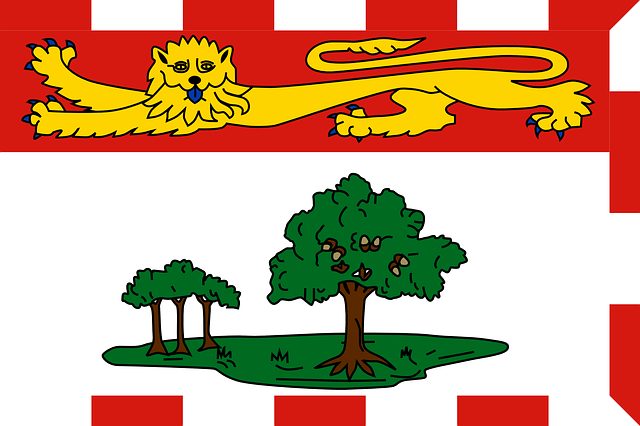 The office of the Superintendent of Insurance regulates the insurance industry in PEI. Licensing under the Insurance Act is mandatory for all insurance companies, adjusters, and agents operating in PEI . In 2003 there were auto reforms that made it mandatory for insurance companies to apply for rate changes. The Island Regulatory and Appeals Commission is responsible for regulating the auto insurance rate changes. The insurance companies are expected to review the car insurance rate changes every 12 months. And, in order to do the review, the insurance companies have to file the applications with the Commission. Auto insurance is the only insurance to be regulated in PEI out of all types of insurances. Car insurance is provided by private insurance companies in PEI. In 2015, the province introduced the Direct Compensation – Property Damage (DCPD) as a mandatory coverage. The insurance system is on a no-fault basis and victims may claim for damages through their own insurer. It makes no difference as to who was at fault for the accident. The insurance companies perform fault determination to assess fault for the accident. The portion of the claim for being not at fault will be covered under DCPD. The remainder of the portion of the claim could be managed under Collision if the insured has opted for that coverage. The licensing program in PEI is on a graduated basis. New drivers have to be at least aged 16 years to apply for an instruction driver permit. With this permit, the student driver can drive a vehicle under the supervision of an experienced driver. The instruction permit has a validity of 2 years from the date it is issued. It is required to wait for 365 days if aged 17 years or more to give a road test after having this permit. In case the driver has enrolled in a driver education program then this period is reduced to 275 days if aged 16 years. The following are the 3 stages of the graduated driver licensing scheme in PEI. This is the first stage when the driver gets a class 7 instruction permit for learning purposes. This permit is also called a beginners permit. It is mandatory to clearly display the ‘L’ decal on the vehicle windshield while practicing. in which the Once the driver completes 365 days after having this permit then they move on to the next level. No passengers will be allowed in the vehicle except immediate family member and the supervisor. The supervisor has to be seated in the front seat while training the driver. In order to train the learner, the supervisor must have at least 4 years driving experience. It is important that the number of passengers does not exceed the number of working seatbelt in the vehicle. The driving instructor may not have BAC level equal to or more than .05. After passing the road test the driver gets the driver license for this level. The Stage 2 level lasts for 365 days and it is mandatory for the driver to display the decal ‘G’ on the vehicle windshield. The novice driver moves to the next level after completing this level. Only one passenger will be allowed if not part of the immediate family. The number of working seatbelt in the vehicle and the number of passengers must be equal. If the Stage 2 driver violates any passenger restriction or seatbelt conditions then their license will be suspended. The license suspension for the first offense will be for 30 days and for the second offense it will be for 90 days. This period starts after completing stage 2. The driver is required to keep the ‘G’ decal on the vehicle. The number of passengers allowed in the vehicle cannot exceed the total number of working seat belts and there is no condition on family members. 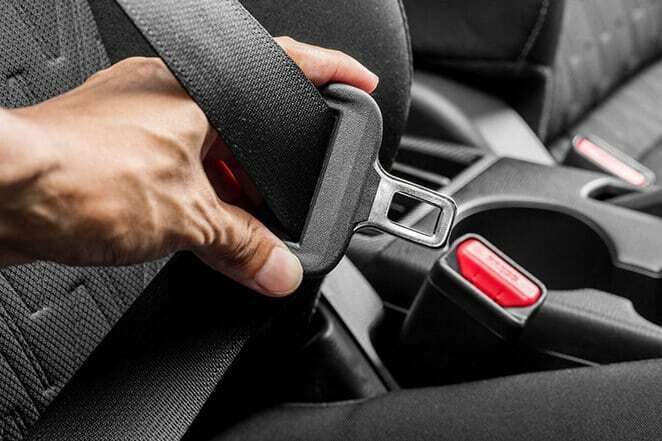 If the Stage 3 driver does not observe seatbelt conditions then their license could be suspended. The license may be suspended for the 1st offense for 30 days and for the 2nd offense for 90 days. Additionally, there is a nighttime driving restriction for all drivers above the age of 21 years when they are in Stage 1 or Stage 2 level of the graduated licensing program. This curfew applies from 1 to 5 in the morning. An exception is allowed if the driver is going to work and there is a cost of $10 for this exemption. Another exception is that the driver is accompanied by an experienced supervisor who does not have BAC equal to or more than .05. These do not apply to Class 7 instruction permits. In PEI it is mandatory to have car insurance coverage for motorists on the road. The following are the mandatory coverage required for a standard automobile policy. Third party liability (Section A): This coverage is required up to a limit of at least $200,000. This provides protection for the insured against losses due to injury, property damage or death to the third party due to negligence. The limit of $200,000 is applicable for one accident only. However, if there is a claim under this coverage for both property damage and bodily injury then the claim for property damage payout will have a cap of $10,000. Accidental Benefits (Section B): The accident benefits provide coverage for medical bills, replacement of income etc. In PEI there is a no-fault insurance system followed. The third parties do have a right to sue in case the damages caused are more than the coverage limits as per this no-fault provision. Uninsured Automobile (Section D): The coverage protects insured against any losses due to bodily injury caused by a driver with no insurance and at-fault. In case that driver could be identified then the insured victim may also claim for any damages caused to the vehicle. DC-PD: This is also a mandatory coverage for auto insurance policies in PEI. Under this coverage, the insurance company will pay for the portion of the claim for damage to the vehicle or its contents. Additionally, it will also cover for any loss of use of the contents or the vehicle for which you have been assessed not at fault. There are additional coverages that could be purchased on an auto insurance policy. These coverage have deductibles payable in the event of a claim. The most common optional coverage that motorists get is for Collision and Comprehensive. Collision coverage: This coverage helps to protect the insured against any damages caused due to colliding with another object, vehicle or rolls over due to the collision. Comprehensive coverage: The coverage helps to protect against sudden events such as fire, flood, theft, vandalism etc. It is required as per law to have active car insurance with standard coverage in Prince Edward Island. If you are caught driving with no active car insurance then you may face heavy penalties. The fine amount could vary from $2000 to $3000 for even a first time offender. The driving license may be suspended and the vehicle could be impounded too. The province of PEI has zero tolerance for impaired driving. Any driver aged 19 years or more with a driving experience of fewer than 3 years may not drive with BAC more than 0. In case the offender chooses to drive with a suspended license then they may have to face a vehicle impoundment for 30 days or 60 days. The traffic departments of PEI have initiated penalties for distracted driving and reduce collisions. There are new regulations in effect to ban the use of wireless electronic devices that are handheld and cause distractions. These devices include cell phones, GPS devices, and laptops. The only exceptions would be using 1-touch hands-free devices and 2-way radios. If a driver is caught driving while using any of the banned devices then there would be a fine imposed anywhere from $250 – $400 and 3 demerit points would be added to the license. The government of PEI has initiated many road safety plans to ensure driver and road users protection. A free traveler information service called PEI 511 has been introduced to help know the road conditions for travel. This can be easily accessed on mobile devices or computers. One of the main areas of focus is highway safety to reduce the number of collisions. The highway safety department also promotes and ensures safe driving conditions of the highways by enforcement. They check the vehicles registrations, the validity of driver licenses, highway scales, vehicle inspection program and enforcement for commercial vehicles. Some major routes proposed for improving road structure are as follows. The bridge, highway and building infrastructure of Prince Edward Island is aging every day. So, the Department of Transportation and Infrastructure Renewal (TIR) has proposed a 3-year year strategic plan to improve efficiency in transport operations. Increase the rate of seat belt usage for all occupants. Target impaired drivers (alcohol, drugs, fatigue). Promote awareness programs on the social unacceptability of speed and aggressive driving. Proactively address safety and mobility issues related to medically-at-risk drivers. Promote awareness campaigns on the dangers of distracted driving. Continue to adapt and improve initiatives for novice drivers such as the Graduated Licensing Program. 7. Identify and address high-risk factors for vulnerable road users (pedestrians, cyclists, and motorcyclists).